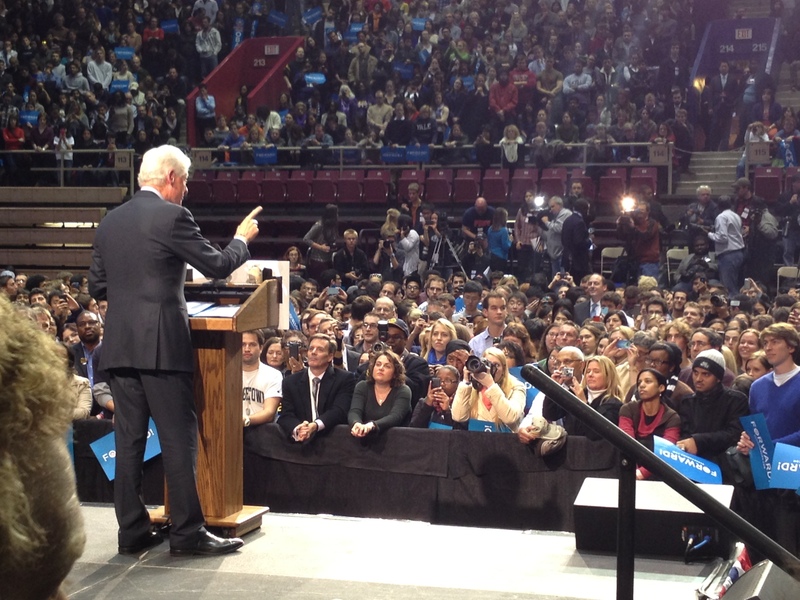 So yesterday President Bill Clinton came to Penn’s Palestra to rally voters. And I, seeing the obvious appeal over midterm studying, was one of the many who eagerly stood the line to see him. Once we finally got in and were seated with the Penn band pumpin’, a handful of congressman and community figures spoke before the prez took up the podium. I was seated directly behind the stage, third row from the front. It was enchanting, being so close, even as he made his way around to greet the crowd. So the Secretary of Explaining Stuff began doing his thing. 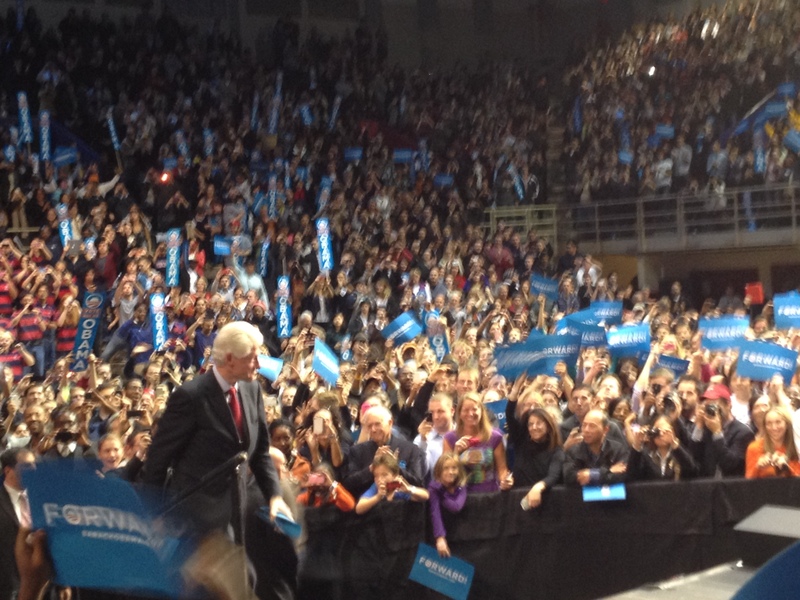 I’m not a particularly die-hard Democrat, but being there made me feel like one. Every soundbite was profusely applauded. Clinton told jokes (there was even a binder joke!) and anecdotes, talked about arithmetic, and continuously unleashed praise for Obama, including how awesome of a Secretary of State he has. Chris Matthews from MSNBC was there with the crowd too, smiling and applauding along like the rest of us. Clinton’s entire spiel lasted about half an hour, ending with a thunderous standing ovation and three gazillion camera flashes per second. I got to shake his hand. 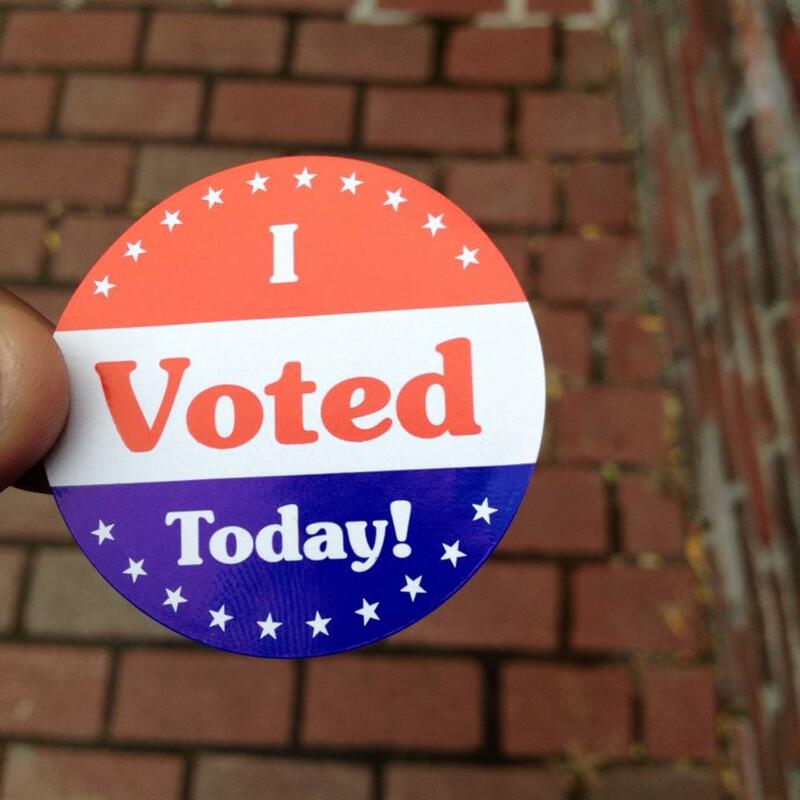 It was a valuable and memorable way to christen my first time voting the next day, today. Thanks to my morning math recitation, I got up early enough to vote while there were no lines. Hopefully by tonight, if everything goes how it’s supposed to, we’ll know who our next president is. Also, can we just take a moment to appreciate how awesome this sticker is? I love the url, haha.